Meeting Paul, I found him to be a truly welcoming man. I later read that he had a greater need to be liked than the other Beatles. If true, Paul needn’t have worried, having a very naturally warm, likeable character and disposition. 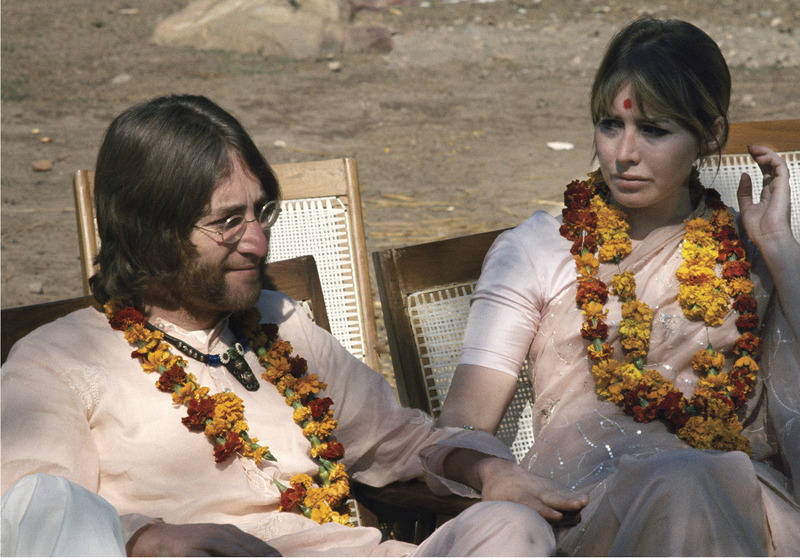 Jane Asher was the warmest, most emotionally open of any of the ‘famous folks’ who spent parts of each day sitting outside at the table overlooking the Ganges and the town of Rishikesh, far below. She had been an actress from the age of 6, and while actors and actresses can be notorious for their inflated egos, she had a grounded humility that shone forth. Cynthia Lennon seemed the most pleased by the Maharishi’s plans for the future of his world-wide meditation organization. Jane was the least interested. This was her first visit to the sub-continent and, apparently, she was less interested in the Maharishi and meditation and more interested in traveling with Paul to see the Taj Mahal, and other fabulous sites in India. John and Cynthia were cool and distant with each other. This clearly shows in the photographs where they’re together. Also, they appeared to be sleeping separately. They had married 5 years earlier, when Cynthia became pregnant with Julian, and after they split up Cynthia wrote that she and John were on very different wave lengths and probably only stayed together, for the time they did, because of Julian. As I got to know John in Rishikesh, he was warm and friendly. A really wonderful man, for sure, but a little less open than the other Beatles. I wondered if it was a reflection of what seemed so cool between Cynthia and him. Later, as I read the press accounts announcing John and Cynthia’s split, a prescient moment had occurred, I thought, when the group first went off with the Maharishi to learn meditation in Wales. Word had gotten out that the Beatles were taking the train from London’s Paddington Railway Station, and it was jammed with fans, police, the press and everyone who could get in. So jammed, that in the crush Cynthia had been left behind on the railway platform, a policeman holding her physically back, not believing her pleas that she was John’s wife. The reports went on to say that John and Cynthia had parted, unfortunately rather bitterly, in the face of his relationship with Yoko. As time went on it came out that, although they had not yet consummated their new relationship, John had, in fact, wanted to bring Yoko and not Cynthia to Rishikesh; and that all the while there, John and Yoko had been frequently writing to each other. The coolness that was apparent between John and Cynthia at the ashram then made glaring sense. It must have been very hard for them, especially for Cynthia.